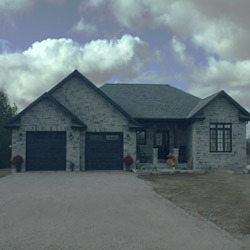 Conlin Premier Construction is a Tarion Certified family-owned business with over 30 years experience building custom homes, custom cottages additions, and unique outbuildings in the Stoney Lake, Catchacoma area and the Kawarthas. Our team builds with premium materials to deliver high-efficiency Energy Star homes backed by the Tarion New Home Warranty. We prioritize the highest standard of workmanship and excellent communication with you throughout the construction project. Our team of carpenters specialize in building you the brand new custom home or cottage of your dreams. Your new custom home will be beautiful inside and out and will be backed by a Tarion home warranty. Contact us today for more information or to book a no obligation consultation. 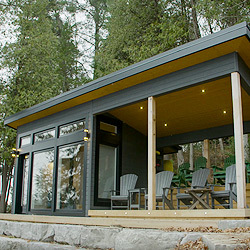 Looking to add more living space and value to your home or cottage in the Kawarthas? We can help you build a custom home addition from start to finish that will suit your needs and budget. We’ll manage your entire custom home addition project including drawings, permit applications and construction. 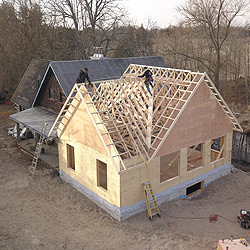 We love building smaller construction projects too, such as custom outbuildings for your Kawartha area home or cottage. If you can dream it, we can build it! We have constructed custom bunkies to rival main cottages in their elegance and appeal, often making these structures the focal points of our clients' properties.